It all seems so inevitable. A young man with a mental problem so severe it got him kicked out of college walks into a Tucson, Arizona gun store and walks out with a semi-automatic pistol to take the lives of 6 people and grievously wound 14 others. At some time in the last two years this young man had also tried to join the U.S. military, but was turned down for reasons that for now are not being disclosed but one can pretty well guess at. Didn't we see something very similar just over a year ago at Fort Hood? But what can be done consistent with the right to keep and bear arms under the Second Amendment to the U.S. Constitution? That's the one that comes right after the First Amendment that Congresswoman Giffords read in the U.S House just two days before the horrible shooting. "[T]he American people have considered the handgun to be the quintessential self-defense weapon. 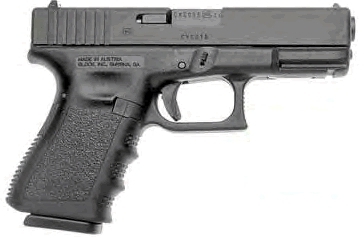 There are many reasons that a citizen may prefer a handgun for home defense: It is easier to store in a location that is readily accessible in an emergency; it cannot easily be redirected or wrestled away by an attacker; it is easier to use for those without the upper-body strength to lift and aim a long gun; it can be pointed at a burglar with one hand while the other hand dials the police. Whatever the reason, handguns are the most popular weapon chosen by Americans for self-defense in the home, and a complete prohibition of their use is invalid." "Like most rights, the right secured by the Second Amendment is not unlimited. ... [N]othing in our opinion should be taken to cast doubt on longstanding prohibitions on the possession of firearms by felons and the mentally ill, or laws forbidding the carrying of firearms in sensitive places such as schools and government buildings, or laws imposing conditions and qualifications on the commercial sale of arms." Scalia is just one of the nine Justices on the Supreme Court, so what makes his opinion so important? Even if the other four conservative Justices do not fully agree with him on the power to regulate, the four liberal Justices who have voted to allow banning of handguns would presumably support him. In the Supreme Court 5-4 is the law of the land. (1) Carrying concealed weapons. As the song says, "He wore the gun outside his pants, for all the honest world to feel." Open carry makes you nervous, but at least you know what you are up against. I once spent several minutes in a Colorado convenience store giving a wide berth to a guy wearing a sword. (2) Carrying of dangerous and unusual weapons. That likely includes machine guns, assault weapons, maybe extended clips for semi-automatics, and certainly RPGs. Local police and sheriffs, many of whom are strong Second Amendment supporters, can advise us on what should be on this list. (3) Carrying of firearms in sensitive places such as schools and government buildings. Can we add office buildings, shopping malls, and plazas? Your idea of sensitive places may broaden if you have, as I have, stood shoulder to shoulder in a crowded subway car with a college kid who is flipping the 4-inch blade on his knife in and out. (4) Possession of firearms by felons and the mentally ill. Can we make a list and check it twice? Screening and mandatory reporting may be needed. And if we can screen for felonies or mental illness, can we screen for drug use too? (5) Conditions and qualifications on the commercial sale of arms. If we can make a national no-fly list, certainly we can make a national no-buy list. "The Congress shall have power ... To provide for organizing, arming, and disciplining, the militia, and for governing such part of them as may be employed in the service of the United States, reserving to the states respectively, the appointment of the officers, and the authority of training the militia according to the discipline prescribed by Congress." And what is this militia that Congress has the power to organize, arm, discipline, and prescribe training for? Scalia says it means all able-bodied men. And now that we let women serve, I would say it includes all able-bodied women too. And I say it potentially takes in all people able to fire a gun, if the defense of the country comes down to that. We the people of the United States, in other words. Here's where I'd start on writing a new law. If you want to buy a handgun, or any other type of gun, you have to take a course. Or perhaps you can just take a refresher and pass a test if your father or grandfather (or mother or grandmother) has sufficiently home-schooled you. But you will have to show up for long enough that your instructor can be satisfied you aren't some kind of nut. And you'll have to show up every few years so that can be reconfirmed. And this can be done under the auspices of your state police, city police, or local sheriff in a simple adult education course down at your town hall or local community college, or maybe even in your senior year of high school. Of course, some will argue that we just need to enforce our existing laws. I am all for that. But explain to me just exactly what those laws were, how they were circumvented by the shooter in Arizona, and how they can be made more effective to prevent all-too-common tragedies such as this latest one. More protective laws can be passed, but will they be? Gun control advocates will have to be sincere in communicating that this is not an effort to take away Second Amendment rights from law-abiding citizens. And gun rights advocates must help draw the lines that public safely requires.